This morning, Oculus held a press conference in San Francisco, live-streamed over the web. 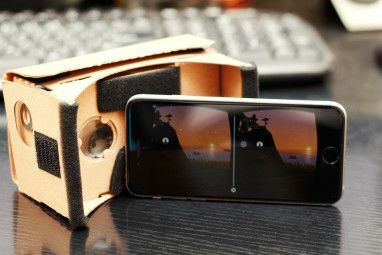 Over the course of this two-hour event, the company made several major announcements and laid out its vision for virtual reality, both this year and in the future. If you’ve been following VR (virtual reality) for as long as I have, this was a big moment. I went into the presentation wondering how Oculus would fare against its primary competitor, Valve and HTC’s Vive. Unfortunately, I left the presentation with more questions than I started with. The design of the headset itself is similar to the Crescent Bay prototype that I tried at CES Watch Us Try The Oculus Rift Crescent Bay At CES 2015 Watch Us Try The Oculus Rift Crescent Bay At CES 2015 The Oculus Rift Crescent Bay is a brand new prototype that shows off some exciting improvements in virtual reality technology. We try it out at CES 2015. Read More earlier this year. However, Oculus has spent some time refining the industrial design to make it more comfortable and easy to use. The device was visibly light in CEO Brendan Iribe’s hands, and has confirmed that the new straps don’t ‘pull’ against your face, eliminating the telltale red marks of extended Rift wear. Structurally, the outer casing of the Rift is made of fabric, presumably to reduce heat build-up and weight. Iribe also confirmed that the foam ‘facial interface’ will be removable. This is important, especially if you plan to show the Rift to friends. With the DK2, hygiene issues became serious quickly. We also learned that the Rift will not come with an adjustable focus slider for visually-impaired users (like the GearVR does). Instead, the ergonomics of the device have been designed to work better while wearing glasses. Plus, for those with unusually wide-set or narrow-set eyes, a small toggle will allow them to adjust the distance between the lenses to suit their heads. The headset will also be wired Can Virtual Reality Cut the Cord? Can Virtual Reality Cut the Cord? Cords are a tripping hazard and kind of a bummer. 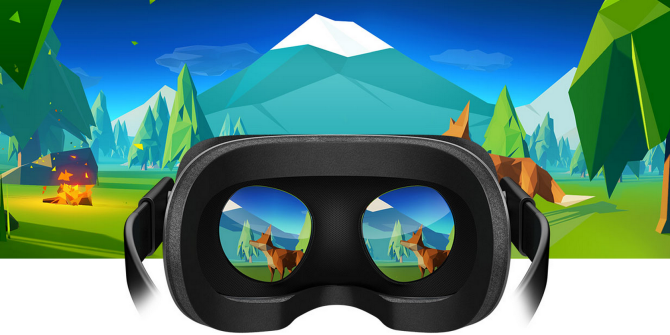 They prevent you from moving freely in any space or taking your VR device out of the room. But technology is working on the solution. Read More , though it’s not clear what the tracking range / cord length will be. Finally, the Rift also ships with a tracking camera like the DK2, with what appears to be an adjustable mount. It looks like it’s designed to be placed on a desk and then forgotten about. Iribe confirmed that the camera won’t need an external power source, and simply need a USB cable to run. Iribe also confirmed that the Rift will ship with fully specialized audio — sounds will seem to come from the correct points in space, adding to the immersion. The Rift will ship with dedicated headphones that are, we’ve been assured, very good. However, if you want to use your own, these headphones will be removable. The question of VR input is serious, and was the primary point of uncertainty prior to the presentation. Valve’s VR headset, the Vive Valve & HTC Announce New VR Headset to Ship by Christmas 2015 Valve & HTC Announce New VR Headset to Ship by Christmas 2015 Valve's new VR headset is the best the world has ever seen. Does Oculus stand a chance? Read More , ships with two motion controllers, each sporting several buttons and a Steam Controller touchpad. These are tracked using Valve’s Lighthouse system, which uses two laser base stations to cover a whole room and eliminate occlusion issues. Can Oculus compete? Well… it’s complicated. Today, Oculus announced that the input method that will be shipping with the Rift is an Xbox One controller. Obviously, this is disappointing, but Oculus put together a fairly convincing case that, since their developers have been primarily creating content for gamepads, it makes sense to provide the gamepad — a generic legacy interface. Oculus also announced that, in the first half of 2016 it will be launching a second device, a VR motion controller called “Oculus Touch,” which will be available as an optional add-on for the Rift. This controller takes the shape of two rings, one for each hand. Your fingers rest on a small ‘nunchuck’ in the middle. Each ring comes with a thumbstick, a grip sensor, a trigger, and two buttons. Each has integrated haptics. Most interestingly, each one comes with an internal set of sensors that can detect hand poses (like pointing or waving), which opens up some interesting possibilities for social virtual reality 5 Ways the Metaverse Won't Be Like You Think 5 Ways the Metaverse Won't Be Like You Think As the roller-coaster comes to a halt before its impending drop, you look out and wonder how a virtual world could look so real. This kind of experience could be yours some day. Read More . Oculus founder Palmer Luckey told the audience that the Oculus Touch is designed to deliver ‘hand presence’ – the sense that your hands are physically present in the space. It’s also designed to be usable without requiring conscious thought. Obviously, this is really cool, although there are a few major concerns. First and foremost: what about occlusion? Oculus still seems to be using a single camera for positional tracking, and that raises serious questions about what happens when you’re facing away from the camera and trying to interact with something. I certainly hope Oculus doesn’t expect us to sit still while we’re using motion controllers. The Vive has shown us how cool it is to be able to walk around freely while using your hands in the virtual world. If the Rift restricts you to standing still or sitting, facing in a single direction while using their motion controller, that’s a big downside. Second, why isn’t this shipping with the Rift? It seems like the Oculus Touch controllers are more than capable of emulating a gamepad, so why bother including one? And why create the extra agonizing for developers about whether or not to build games around motion control? If only a fraction of the already-small Oculus userbase initially buys these, the lack of inertia could kill them before they ever get a foothold. 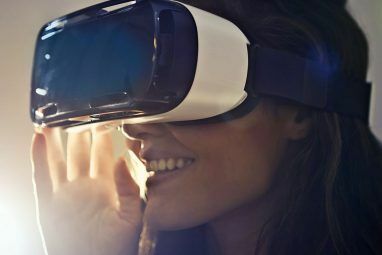 This seems like a really half-hearted commitment to a technology that’s clearly the future of VR Why Virtual Reality Technology Will Blow Your Mind in 5 Years Why Virtual Reality Technology Will Blow Your Mind in 5 Years The future of virtual reality includes head, eye and expression tracking, simulated touch, and much more. These amazing technologies will be available to you in 5 years or less. Read More game design. Microsoft had this problem with the Kinect — fracturing the input space for your platform is a very bad thing. There were some major announcements regarding the software behind the Rift as well. It was announced that the Rift will work natively with Windows 10. This means that Oculus won’t have to rely on the hacks it has been using so far to prevent the operating system from messing with the headset. Hopefully, that means less hassle and lower latency on Windows 10 compared to other operating systems. As another component of its partnership with Microsoft, you’ll also be able to stream Xbox One games to a virtual cinema screen. Second, Oculus announced “Oculus Home,” a VR interface that lets you search, preview, buy, and run VR games and experiences entirely from within virtual reality. This is important, because it reduces the number of times you have to remove and replace the headset during a typical session. Finally, Oculus announced that it’s investing $10 million to accelerate the creation of VR content, presumably by subsidizing development for indie studios. Eve Valkyrie, by CCP Games – a VR dog-fighting game set in the EVE: Online Universe. Chronos, by GunFire Games, a frankly gorgeous stylized dungeon crawler, in which the main character gets one year older with each attempt to beat the game. Edge of Nowhere, by Insomniac Games, an action-adventure third-person game in the style of Uncharted. The game takes the player to Antarctica, searching for a lost expedition. Damaged Core, by High Voltage, a first-person shooter. Luckey’s Tale, by Playful, a colorful 3D platformer in the style of Super Mario 64. We also learned that a number of bigger-name developers are working on unannounced titles, including Square Enix (Deus Ex: Human Revolution, Final Fantasy) and 4A Games (Metro 2033). This press conference, on the whole, is a really mixed bag. While it’s gratifying to know that Oculus is working on a motion controller, the fact that it isn’t shipping with the Rift is a huge letdown. And, while the games being announced look promising, they don’t look like they actually need to be in VR. Pretty much all of them are just existing genres being viewed in a new way. That’s neat, of course, but it isn’t the future. None of this stuff looks half as cool as the room-scale experiences being developed for the HTC Vive. As a game developer, I’m excited for what’s possible when you have access to room-scale tracking and motion controllers. I’m not all that thrilled about VR that has all of the drawbacks (limitations on speed and motion), with none of the new gameplay possibilities. Of course it’s hard to predict the future, but right now, it’s hard to see an argument for why consumers should choose the Rift over the HTC Vive, except, perhaps, the availability of exclusive titles. I’d prefer that VR not devolve into a console war of exclusives and limited compatibility, but that’s looking increasingly likely as the situation evolves. What do you think? Will you be pre-ordering an Oculus Rift? Let us know your thoughts in the comments! Explore more about: E3, Oculus Rift, Virtual Reality. Will it work with (Arch) Linux? Not at launch. Oculus has said they're deprioritizing mac and linux support since such a small fraction of their target market use them. What about Steam machines, etc.? I wouldn't count on it. The relationship between Oculus and Valve has gotten pretty chilly lately, presumably because Oculus wants to introduce their own appstore that would compete with Steam. I assume the Vive will support SteamMachines and Linux in general, and the Rift will not - at least for a while. To use the included Xbox one controller is an Xbox required? Thankfully, no. The xbox gamepads work natively with Windows. A writer and journalist based in the Southwest, Andre is guaranteed to remain functional up to 50 degrees Celcius, and is waterproof to a depth of twelve feet. Oculus Rift vs. HTC Vive: Which Is Better for You?